Ships today if you order in the next 10 hours 44 minutes. Human Lactic Commensal (HLC) probiotics are organisms that have been isolated from healthy live human intestines and then replicated. Since the bacteria naturally exist in the gastrointestinal tract, they are easily recognized and implanted. Research is showing that HLC bacteria may adhere better than probiotics cultured from animal, dairy, soil or vegetable matter. 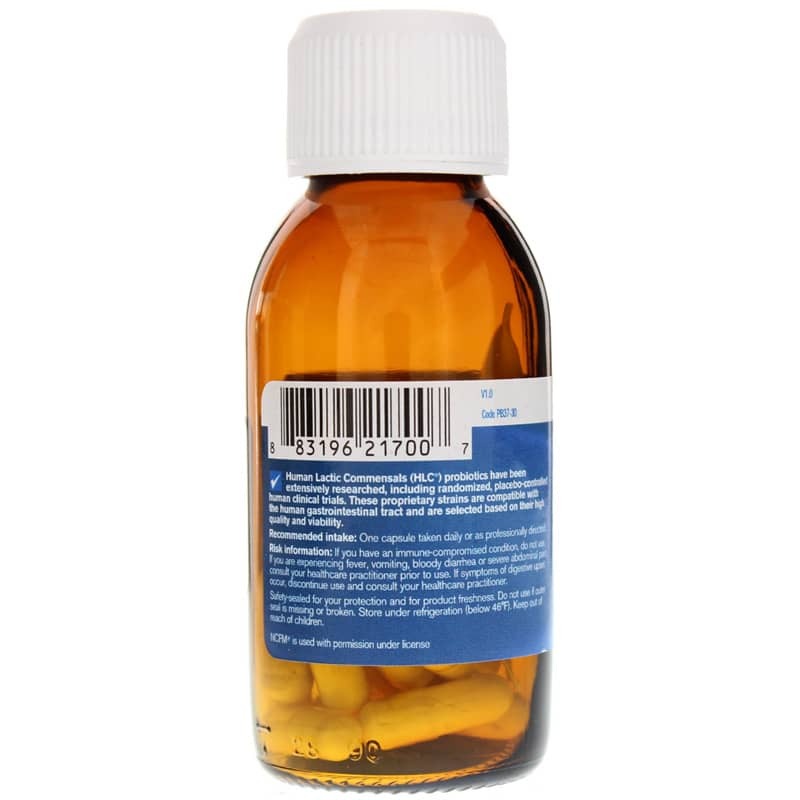 Pharmax offers a natural probiotic supplement called HLC Multi Strain 50 that seeks to support a healthy immune system, favorable gut flora, optimized intestinal transit time and gastrointestinal health. 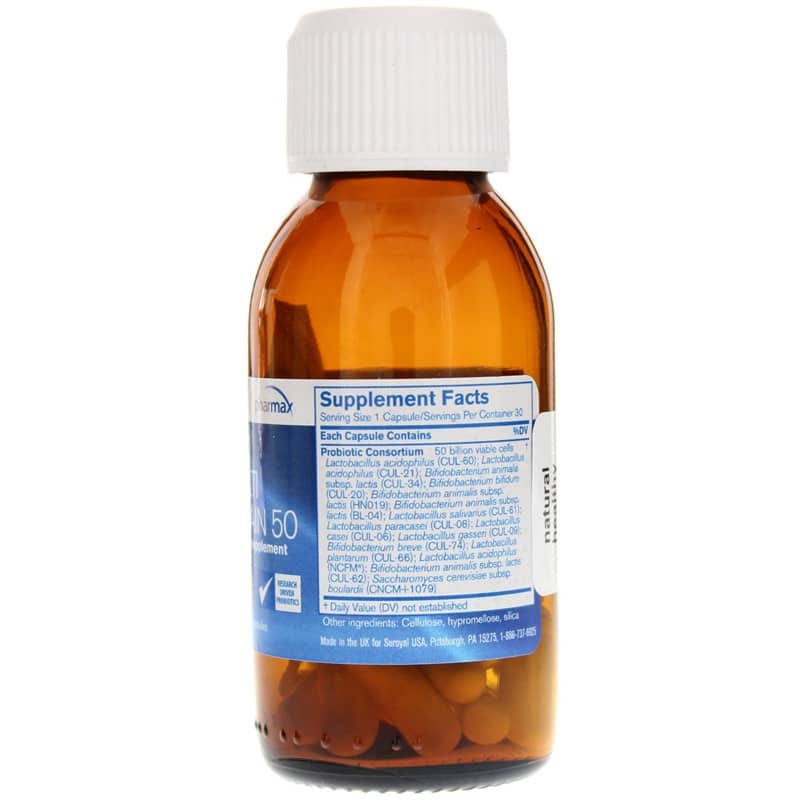 This supplement is comprised of eight strains of Lactobacillus, six strains of Bifidobacterium and one strain of Saccharomyces live yeast cells. It is dairy free, gluten free and vegan. Suggested use is to take one capsule daily or as directed by a healthcare provider. 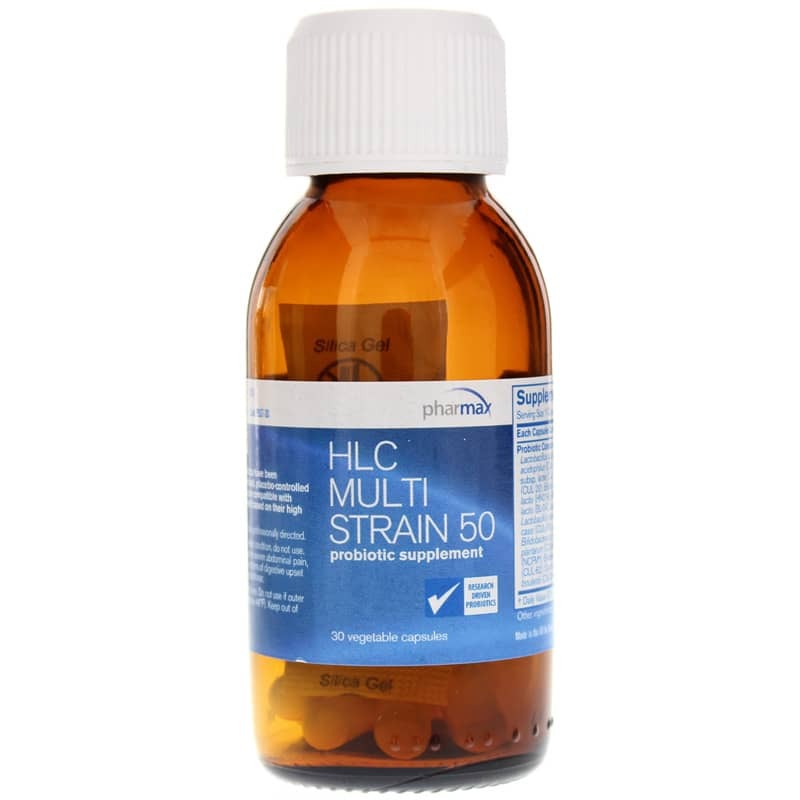 If you're looking for a natural probiotic supplement that seeks to support a healthy immune system, favorable gut flora, optimized intestinal transit time and gastrointestinal health, check into Pharmax's HLC Multi Strain 50. Order online today! Other Ingredients: cellulose, hypromellose, silica. Adults: One capsule taken once daily or as professionally directed. If you have an immune-compromised condition, do not use. If symptoms of digestive upset occur, worsen or persist beyond three days, discontinue use and consult your healthcare practitioner. If you are pregnant or nursing, please consult your healthcare professional before using this product. Keep out of the reach of children.